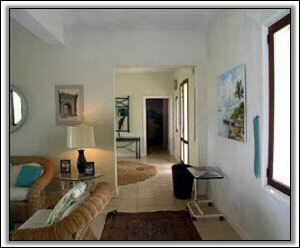 This well-proportioned and comfortable 3 bedroom/bath villa is located some 5 minutes from some of the renowned Inns of Nevis, in a quiet rural setting backing onto the rain forest, with sweeping views of the foothills, the Caribbean sea and of course the sunset. The majestic Nevis peak dominates the rear of the property. 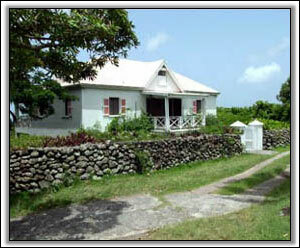 The mature landscaped gardens abound with tropical plants, shrubs and fine trees and palms. 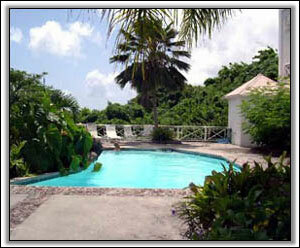 There is a tastefully designed freshwater pool 35' x 20' with a wide private sunning deck with loungers and umbrellas. The villa is on 3 levels. Ground floor includes a cloak room, a welcoming reception hall -which doubles up as a dining area in inclement weather- and a comfortably furnished living-room with many original Caribbean works of art. The fully equipped kitchen leads off the reception hall and gives onto the covered verandah via a wide service bar. 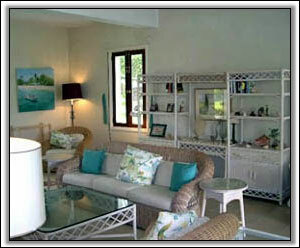 The verandah has abundant comfortable seating and a dining table for up to 8 persons. Retractable awnings keep the late afternoon sun at a comfortable level. A covered stairway leads from the verandah to the first floor bedrooms. 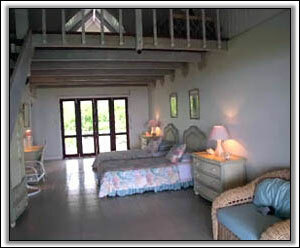 All three are spacious with ensuite bathrooms and lead onto another covered verandah. One has a king-size bed, the other two both have twin queen size beds. One bedroom features a charming studio/attic ideal for children or a temporary office. 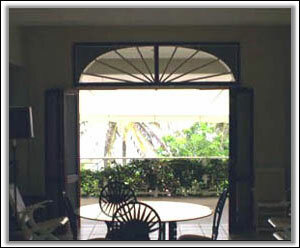 All rooms have ceiling fans and hardwood louvered French doors in classic Caribbean style.